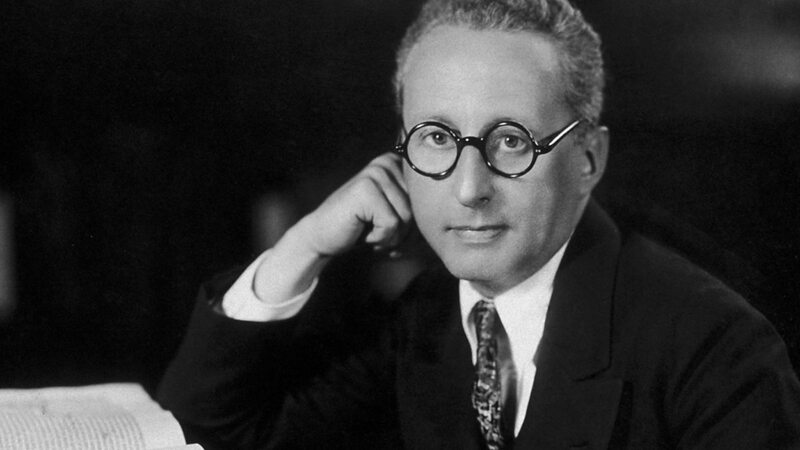 Jerome Kern (1885-1945) was an American composer whose songs appear in an amazing 57 musicals for the stage and screen. Kern had two main periods in his musically rich life: on Broadway composing for stage musicals from 1904–1933 and in Hollywood composing for motion pictures from 1934-1945. He collaborated with many lyricists including Oscar Hammerstein II, P.G. Wodehouse, Otto Harbach, Dorothy Fields, Buddy DeSylva, Jimmy McHugh, Johnny Mercer, Ira Gershwin, E.Y. Harburgh, and Leo Robins to name a few. With the production of the 1927 musical Show Boat, Jerome Kern and Oscar Hammerstein II have been credited with inventing the form of American musicals known today. During his Hollywood period, Kern received 8 Academy Award nominations for best song/score and won twice. In 1985, President Ronald Reagan declared what would have been Kern's 100th birthday, January 27, 1985, as National Jerome Kern day. Jerome Kern was born in New York City and began composing songs in high school. He subsequently studied piano, harmony and composition at the New York College of Music as well as at Heidelberg, Germany’s famous conservatory. During the years from 1905-1915 Kern composed a large number of songs, worked as a piano player for T.B Harms & Co, as a song-plugger for John Wanamaker’s Department Store, and as a rehearsal pianist for Broadway shows where he would get his own compositions “interpolated” into the productions. He developed a rich composing technique in which he would use quite advanced chord changes for his very melodic compositions. In 1915 Jerome Kern, P.G. Wodehouse, and Guy Bolton produced a series of new-style musicals known as “The Princess Theater Shows”. These shows were fresh and startlingly new in sound and form, driven by the small size of the Princess Theater. This collaboration propelled Kern into the Broadway big time. Indeed, 1917 and 1918 produced five Kern musicals, and the 1920 hit Sally produced Kern’s first song hit, “Look For The Silver Lining” written with Buddy DeSylva. After Show Boat, Kern spent seven more years on Broadway, composing for about one Broadway show a year before moving to Hollywood in 1934. For the next eleven years he composed almost exclusively for motion pictures with one trip back to Broadway in 1939 to work on Very Warm For May with Hammerstein. ​Like Rodgers and Hart’s 1937 show Babes In Arms, Kern and Hammerstein's 1927 Show Boat produced five American song standards which are performed routinely today. About half of Kern's best songs were from motion pictures as sung by the famous Hollywood actors Gene Kelly, Rita Hayworth, Deanna Durbin, Fred Astaire, Ginger Rogers, Red Skelton, Eleanor Powell, Lucille Ball, Jean Dixon, and Irene Dunne to name a few. His two Academy Award best song winners were "The Way You Look Tonight" from Swing Time (1936) and "The Last Time I Saw Paris" from Lady Be Good (1941). In 1945 Jerome Kern was again called back to Broadway by producers Rodgers and Hammerstein to compose the songs for a promising Broadway Musical called Annie Get Your Gun. While walking the streets of New York he collapsed, dying shortly thereafter at the young age of 60. His popular songs, all from musicals, are American song standards and are performed routinely today.